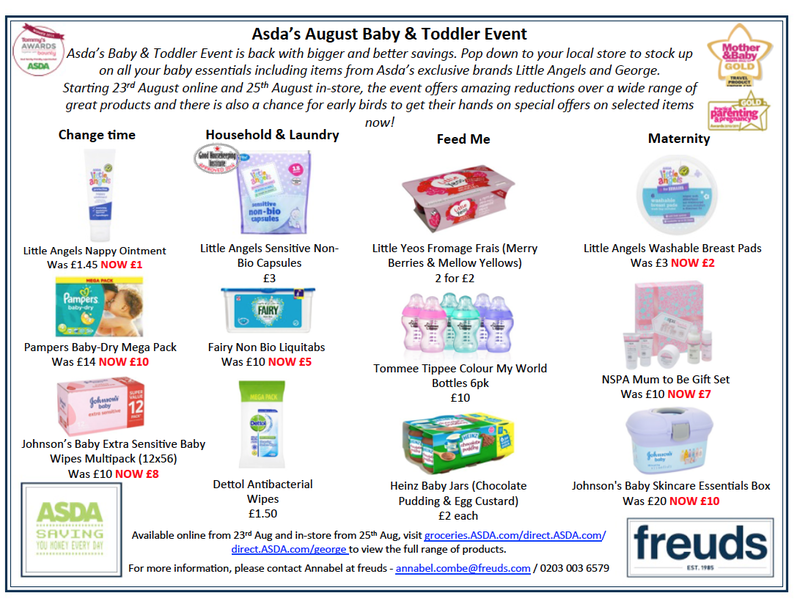 Did you know that the Asda Baby Event is now active online and instore. The event is a great chance to pick up some bargains and stock up for the weeks ahead. Even though I don't have a baby anymore I will be stocking up on the essential babywipes. Happy shopping.